Root beer has its origins in what is referred to as small beers. Small beers are a collection of local beverages (some alcoholic, some not) made during colonial times in America from a variety of herbs, barks, and roots that commonly included: birch beer, sarsparilla beer, ginger beer and root beer. Way back in ancient times, and up until hops were discovered in about 1400 AD, people had to rely on roots and bark and other spices to provide the bitterness and preservative qualities in small beer. However, small beer did not become root beer until the Europeans settled America. Did you know the Mayflower landed at Plymouth Rock, Massachusetts, instead of Virginia because they ran out of beer? Before departing England, some water was brought on the ship for the long voyage, but water spoils in wood kegs after a short time, therefore beer was the main liquid that the people aboard the Mayflower drank to stay alive. Drinking seawater would have killed them. Once the colonists settled all over the east coast, they built towns, and they built breweries too. However they were truly pioneers even in the towns, and they did most things for themselves, and that included baking bread and brewing beer at home. Unfortunately they didn’t have crops of barley or other grains to use when making their small beer, so they had to use other sweeteners such as honey, molasses, and cane sugar. And they didn’t have hops for bitterness, so they had to discover which plants in the new world would provide bitterness and flavor. That is the real beginning of root beer! It is truly as American as apple pie, and a lot older than apple pie. 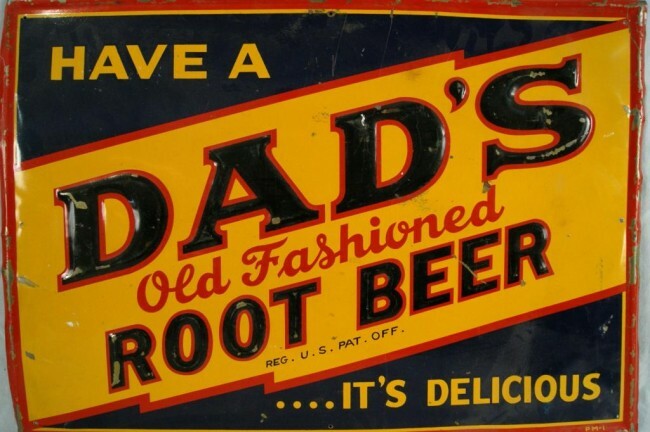 Some of the plant materials that have been used in root beer over the years include sarsaparilla root, sassafras root, dandelion root, ginger root, yellow dock root, burdock root, spikenard root, birch bark, wild cherry bark, wintergreen bark, prickly ash bark, spicewood, allspice, juniper berries, vanilla bean, coriander seed, licorice, dog grass, pipsissewa, cardamom, cinnamon, and even hops. Some recipes did not use roots, or relied mainly on one ingredient, and that’s where Birch Beer and Sarsaparilla Soda came from. 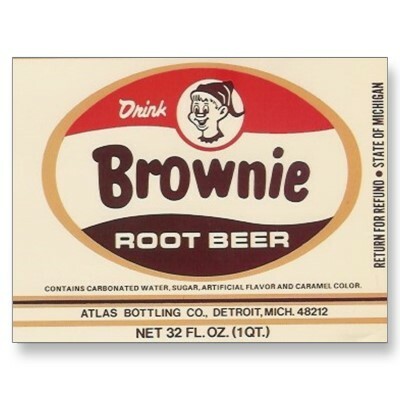 However, root beer was the king in popularity even back then. Charles Hires was a Philadelphia pharmacist who according to his biography discovered a recipe for a delicious herbal tea while on his honeymoon. But that is not the only “history” that is told of the legendary brew. Several Millville historians claim Hires invented the drink in the 1870s while working at a confectionery store at High and Main streets. Hires, they say, took his inspiration from an eccentric relative, who would roam the Millville woods, “collecting bark and roots for medicinal purposes, rather than following the glass trade to which he had been apprenticed.” While working at the High and Main streets store, Hires allegedly experimented with various brews, until he was satisfied with the product. He then married a wealthy widow, the tale goes, and with her backing, patented Hires Root Beer. Not so, claims Bridgeton Antiquarian League President Joseph DeLuca; DeLuca claims Hires developed his famous drink in 1876 while on his father’s farm in Roadstown, Stow Creek Township. According to DeLuca, Hires grew up on his father’s farm in Roadstown, just outside of Bridgeton. Even at a young age, though, DeLuca says, “he knew he didn’t want to be a farmer like his father.” He took a job as an apprentice to an area pharmacist at the grand salary of $12 a week, according to DeLuca. At 16, Hires moved to Philadelphia, took a job as a pharmacist’s apprentice (at $10 a week), and took night classes at the Philadelphia College of Pharmacy and Science. By the time he was 18, Hires had squirreled away $400 and invested in a drugstore at Sixth and Spruce streets in Philadelphia. Then he invested in a potter’s clay business that “really took off,” says DeLuca, and before the young man knew it, he had $5,000 in the bank. That allowed him to divulge in his real passion ã the spicy, foamy drink not yet called root beer. The new brew was described as “woodsy-,” “minty-,” and even “medicinal-” tasting. Crush International, Inc. of Cincinnati, Ohio, which now produces Hires Root Beer, offers up a slightly more romantic version of the tale. The company says Charles Hires, a Philadelphia pharmacist who originally hailed from Roadstown, spent his honeymoon on a New Jersey farm. “It was there that he discovered an exciting new drink made of 16 wild roots and berries, including juniper, pipsissewa, spikenard, wintergreen, and sarsaparilla and hops,” states the company. And yet another version conjures up a slightly more devious slant to the story: while on his honeymoon at a southern New Jersey farm, the legend goes, Hires persuaded his hostess to part with her recipe for the root tea she served. Her recipe called for 26 roots, berries and herbs ã similar to a recipe used by Native Americans for years. At any rate, Hires ended up packaging the mixture in boxes and selling it to be mixed with water, sugar and yeast to housewives and soda fountains. Charles E. Hires’ obituary, which ran in the Bridgeton Evening News on Aug. 2, 1937, tells us that Hires studied medicine at Jefferson Medical College in Philadelphia, and saw in the brew a balm for all that ails ya, and believing that the tag “beer” would attract more customers than either “medicine” or “tea” dubbed the beverage a beer… and the rest – as they say – is history. Hires would become the largest manufacturer of the soft drink “root beer” in the world. But at first the drink was slow to catch on. Hires sold his drug business and went into the wholesale business, specializing in vanilla beans. He made a trip to Mexico, studied the vanilla plant and wrote a small book on the subject – long considered to be the authoritative work on vanilla. Conwell persuaded Hires to present his product at the 1876 Philadelphia Centennial Exhibition. 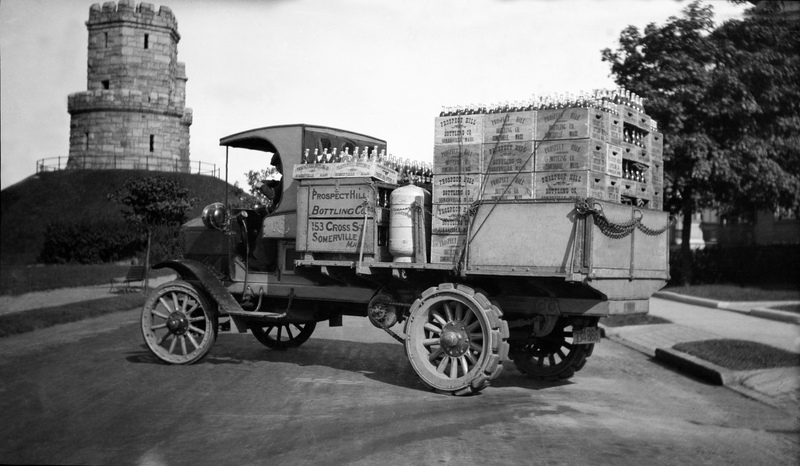 Four years later, Hires marketed a liquid concentrate and in 1893 launched a bottled, ready-to-drink product. 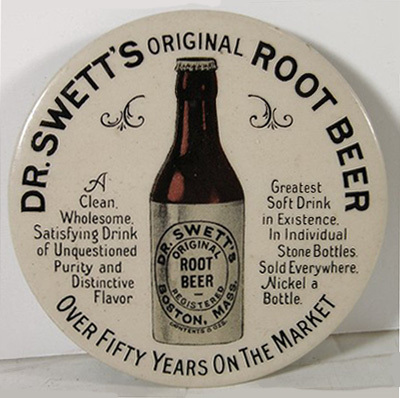 According to DeLuca, the demand for the drink (the recipe supposedly consisted of sugar or honey with such ingredients as sarsaparilla, sassafras, licorice extracts, and vanilla and wintergreen) skyrocketed. A sideline plus: it contained no caffeine. “He took the ingredients and began to experiment with the mixture,” says DeLuca. As it turned out, the editor of the Public Ledger, a gentleman by the name of George W. Childs, liked the drink so much, he gave Hires free advertisement in his newspaper. One of the most successful ventures in the history of marketing began to take shape. “He sold 115,000 glasses of his product during the first year it was marketed,” says DeLuca. “That quickly expanded to 700 million glasses. He became a multimillionaire.” The Hires Root Beer Co. lost the patent for the name “root beer” in 1879. That’s when Congress passed a law stating that no word in the dictionary could be registered ã a law that was repealed in 1920. Hires stayed at the helm of his business, Hires, Wright & Brooks drugstore in Philadelphia until 1925 when his sons took over. Hires, who was active in the temperance and Quaker movements, died at the age of 85 in Haverford, Pa., on Aug. 1 1937, leaving behind more questions than answers regarding his drink. Geneaological records provided by descendant William L. Hires to the Millville Historical Society show the root-beer king was actually born in Elsinboro on Aug. 19, 1851. Hires’ obituary, in fact, lists his place of birth as Roadstown. First BottlingThe Hires family continued to manufacture root beer and in 1893 first sold and distributed bottled root beer. 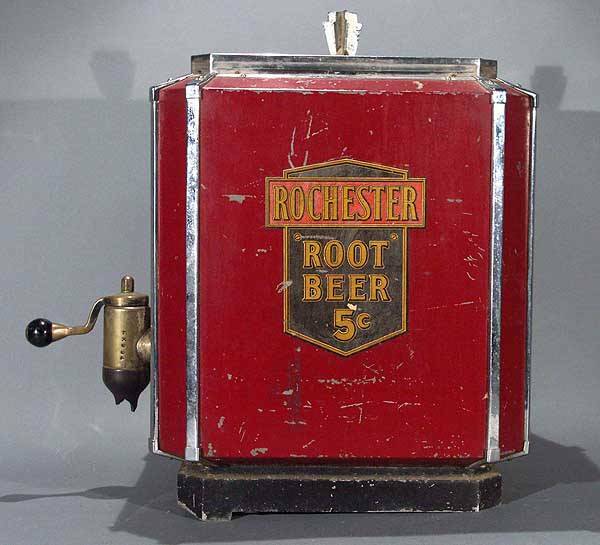 Charles Hires and his family certainly contributed greatly to the popularity of modern root beer, however, the origins of root beer can be traced further back in history. This truly old-fashioned root beer would have tasted different from the kind you buy at the store today. It would have been a bit cloudy, and it would have tasted less sweet, and therefore a little dry. When I was a girl, my family made root beer once for fun, and I think it was a lot like those early root beers. My dad bought a bottle of Hires Root Beer Extract, and following the directions on the little bottle, we added it to a big pot of water, then added sugar and a teensy amount of yeast. We stirred it up, bottled it, and then capped the bottles. We made about two cases or 5 gallons, and yes, some of the bottles exploded. The yeast was needed to carbonate the root beer, and some of the bottles developed an excessive amount of carbonation and foamed all over when we opened them. The alcohol level was tiny, probably about half-a-percent. We kids didn’t like it so much, because we were used to super sweet sodas from the store, so we poured it over vanilla ice cream to make floats and the ice cream sweetened it up enough for us. Many people make their own home-brewed root beer from concentrates today, and there are plenty of recipes on the Internet for people who want to try to make an authentic old time root beer from roots. 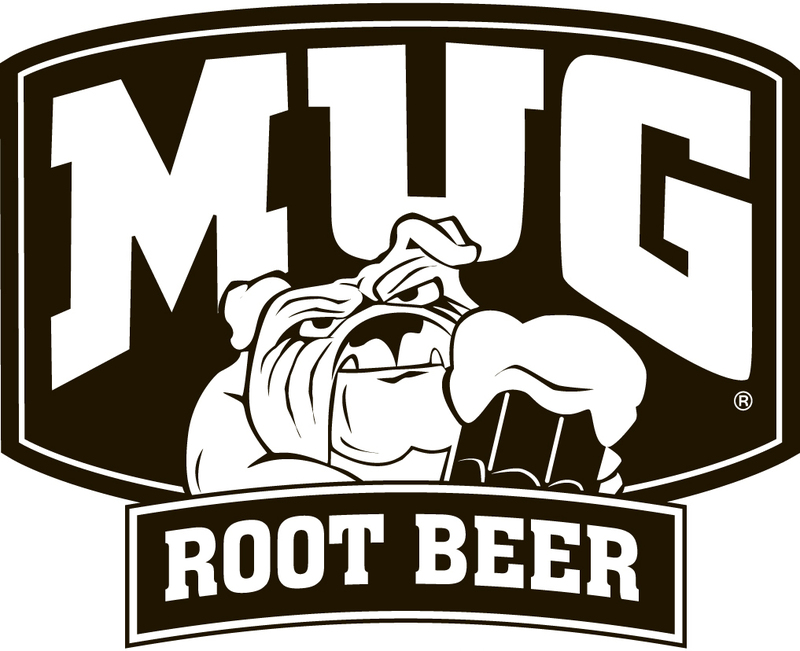 However, it is hard to find all the roots, barks, and spices needed to make root beer, which is why people buy concentrate. Ingredients in early root beers included allspice, birch bark, coriander, juniper, ginger, wintergreen, hops, burdock root, dandelion root, spikenard, pipsissewa, guaiacum chips, sarsaparilla, spicewood, wild cherry bark, yellow dock, prickly ash bark, sassafras root*, vanilla beans, hops, dog grass, molasses and licorice. 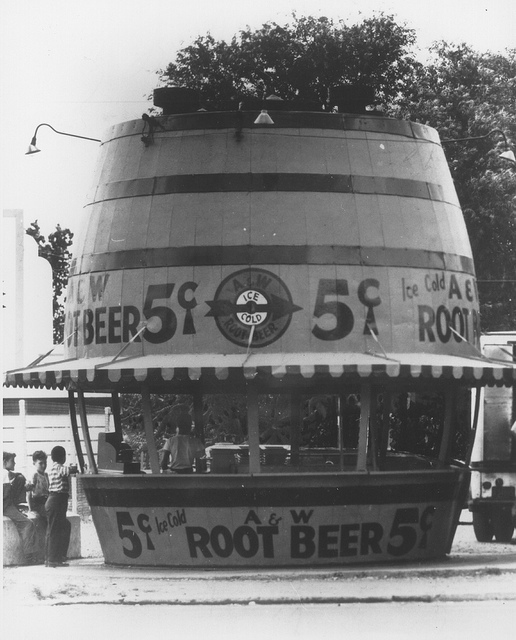 Many of the above ingredients are still used in root beer today along with added carbonation. There is no one recipe. There are now hundreds of root beer brands in the United States, produced in every state and yet there is no standardized recipe. The main ingredient for this popular drink was sassafras root, which is what produces the tangy brewed flavor root beer is best loved for. In 1960, the U.S. Food and Drug Administration banned the use of sassafras oil as it was found to be a carcinogen causing cancer. The root beer industry quickly started experimenting to find a replacement, while preserving the flavor. Inventors discovered that sassafras could be treated prior to the removal of the oil, keeping the flavor and eliminating any risk. Today artificial flavorings can be used.